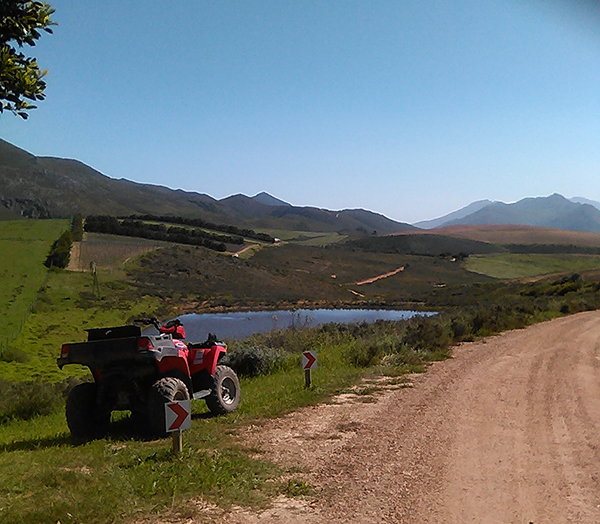 In a part of the Overberg, where the wind constantly blows, lies a tranquil, isolated farm called The Drift. There they farm a whole array of organic produce, make olive oils, honey and some of the most beautiful wines you will come across in the Cape. 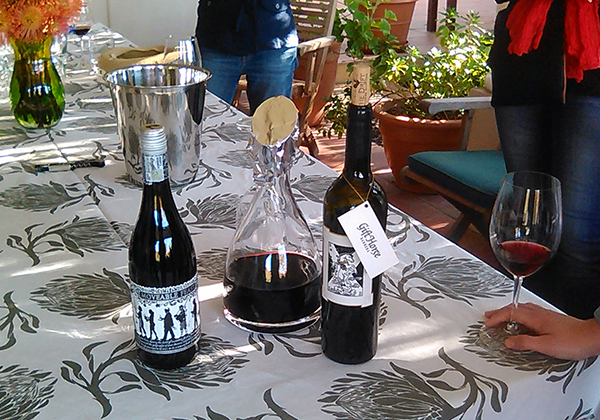 The Drift wines are a bit of a passion project for chief winemaker and owner, Bruce Jack. He was one of the pioneering winemakers in Elim, and is involved in a number of local and international wine industries including Cluver & Jack Cider. With all his projects, The Drift offers a place for him to do what he loves without too many external pressures. The farm itself feels like a safe haven. Far removed from the loud, crowded buzzing of the city, The Drift overlooks rolling hills, one of which has a wall that may date back to when the first settlers arrived in the area. The farm has a lovely guest house you can stay, relax and breathe in some fresh mountain air. One of the most delightful features of the farm is a labyrinth that guests can walk (with a drink in hand) and experience the reflective effects of the walk. We arrived The Drift as a last stop on an Elim wine Safari. 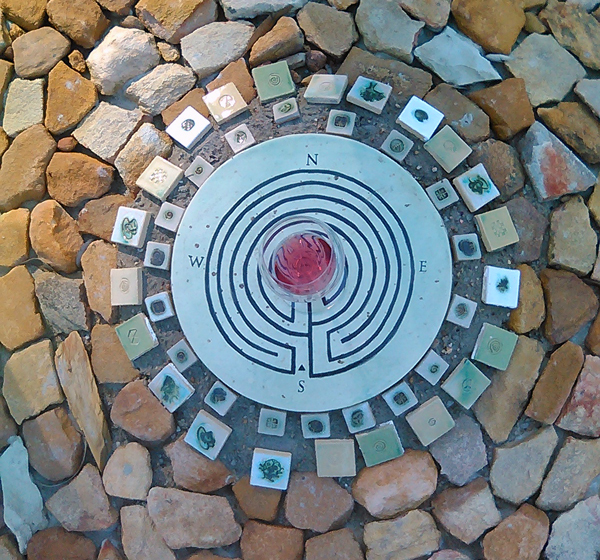 After drinking wine at Lomond and Black Oystercatcher, walking the labyrinth was an experience. It’s tradition that everyone who walks the labyrinth has to take a stone and help build up its borders. We set off, wine and stones in hand and learned more about Bruce and his wine. The Drift has four wines in their stock. A single vineyard Rosé, a single vineyard Barbera, a single vineyard Pinot Noir and a blended red wine. I am not usually a fan of Rosé, but The Drift Rosé was delightful. The label features a rooster with a heart on it. Bruce fondly told us that in the Chinese Zodiac two roosters are supposedly incompatible as they get. But he and his wife, are roosters and have a wonderful relationship. Movable Feast is a red made up of Malbec and Shiraz with Tannat, Touriga Nacional and Pinot Noir carefully blended. It is was wonderful, but the best wine we sampled was Gift Horse. It was absolutely exquisite. Then Bruce got the vines, he was warned that they would not do well in the Elims cool climate. He planted it anyway and was rewarded with an incredible harvest. Just one sip and you can immediately see how special it is. 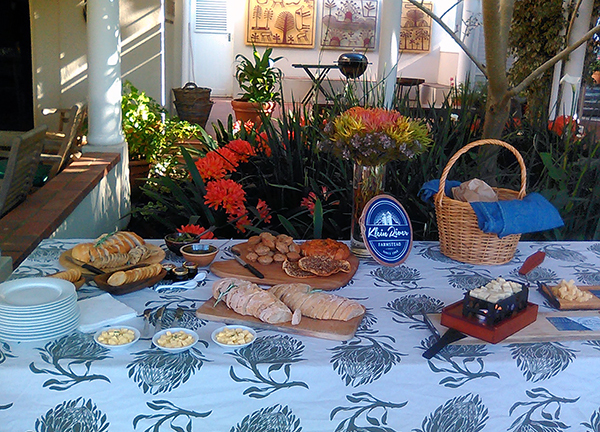 We were also treated to another gem from Elim, Klein River Cheese the perfect pairing to the wine. We go to try a variety of their delicious cheeses, breads and crackers, including a lovely miniature fondue that we could not get enough of. If you find yourself staying in Elim, you can book a picnic with Klein River and enjoy the natural beauty. The Drift also has a farm stall where you are can buy some of the other produce and products they make. Whether you head to The Drift for the afternoon or a few days, you will be enchanted by the lovely farm. Originally published in Cape Town Etc.